Its namesake is a tiny little island off the coast of Scotland, but to the rest of the world, the term "Fair Isle" refers to warm, cozy sweaters and the knitting technique for which it bears its name. According to the Internet, the knit gained popularity after the then-Price of Wales (also known as Edward VIII, not Prince Charles!) wore Fair Isle tank tops in public in the early 1920s. 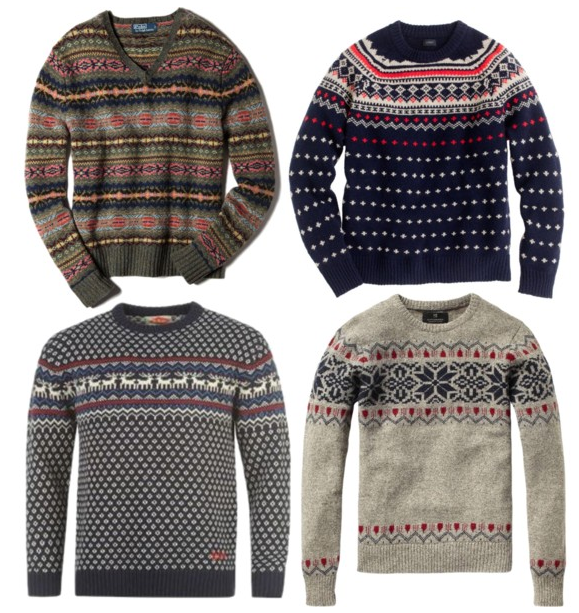 Since then, it's safe to say these sweaters have gone in and out of style throughout the decades, yet remained a classic staple among men of the Northeast coast. 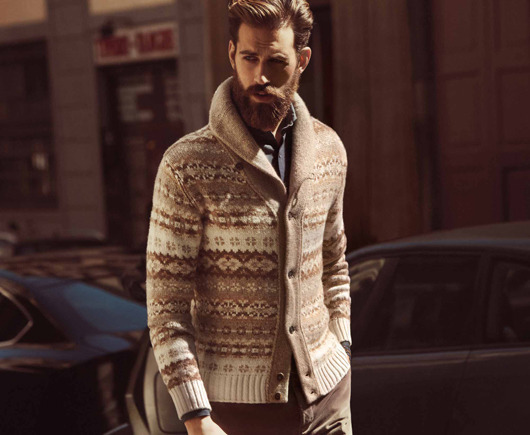 Lucky for the rest of us, popular retailers like J.Crew, Banana Republic and the Gap have brought them back for all of us this season, with plenty of styles and colors to choose from. 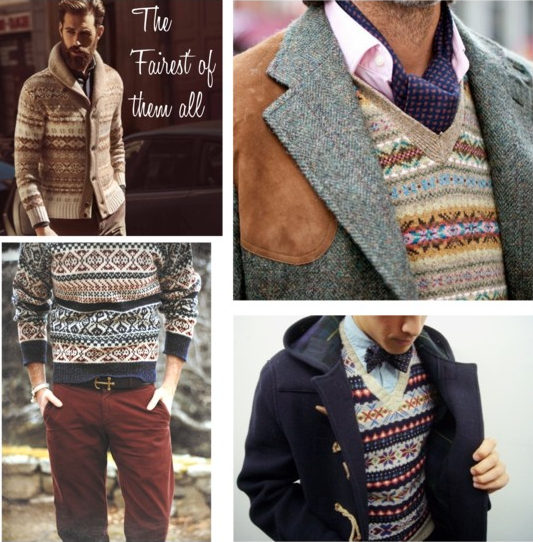 To dress it up, match with a colored shirt the same as a color in the knitting detail (similar to how the man in the top right wears his with a baby pink button-down), and a tie/blazer. To dress it down, pair with matching corduroys or dark-wash jeans, and a relaxed shoe or boot, such as these. 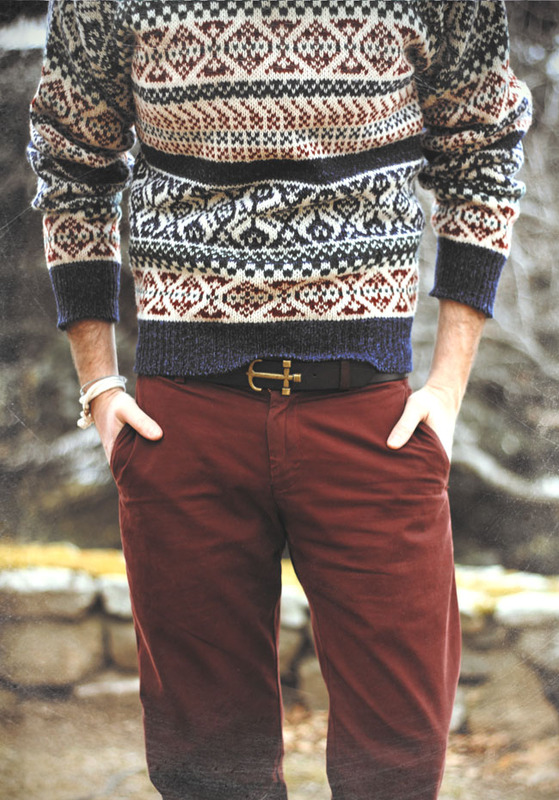 Love these sweater . They are perfect to wear in winter to safe from cold.